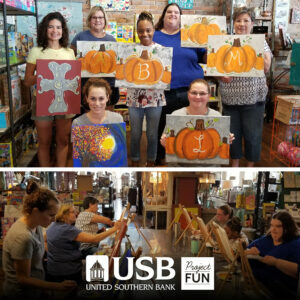 Several USB employees spent their Saturday morning laughing, enjoying each other’s company, and relaxing with a paint party at Griffin’s Studio in Hopkinsville. As September starts and leads to the Fall, several were getting a jump start on their home decorations. Follow us to see September’s fun event bunch!